Ayurveda is more about prevention than cure, more about cleansing than cosmetics, about vitalizing than just physical energy. The ancient sages to whom we owe the revelation of Ayurveda had a holistic vision of man in relation to the cosmos and its creator. The important aspect of Ayurveda is panchakarma its about detoxifying the body from its root , Ayurveda treatment is important in present days because it not only remove the toxins but also it helps to prevent the disease like Psoriasis , Liver disease , Arthritics and so on Ayurveda extends its practice to the spiritual realm, offering holistic health care. The holistic methods of pathya along with panchakarma applies have been of tremendous help to patients suffering from physical or mental disorders., especially psoriasis , skin disease , liver disease , infertility too . 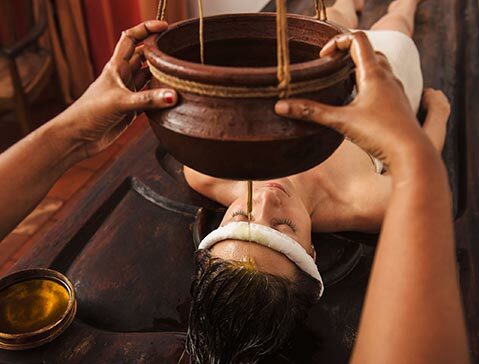 In addition to healing, from pathya , we offers a complete special Ayurveda massages , which is considered as the best Ayurveda massage ever you experienced .also gives training in various methods of building up immunity, achieving health, strength and vitality.